Show Intro. – what’s coming up for the next four weeks and Prayer Pilgrimage update. 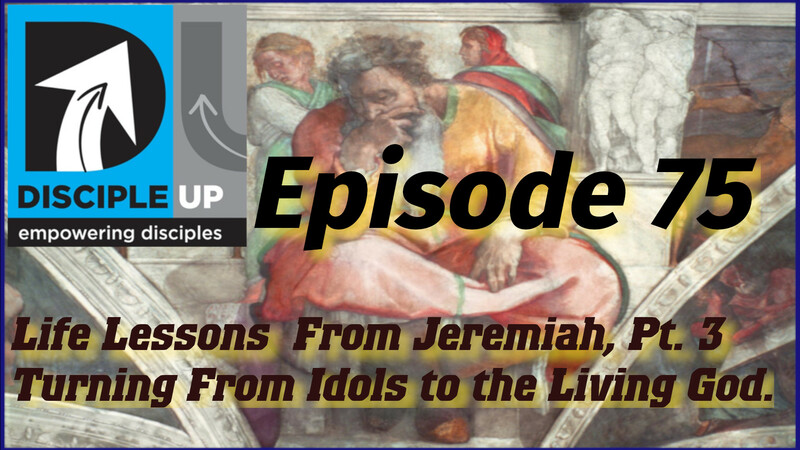 PART THREE – TURN FROM IDOLS TO THE LIVING GOD. Go, and proclaim these words toward the north, and say, “ ‘Return, faithless Israel, declares the LORD. I will not look on you in anger, for I am merciful, declares the LORD; I will not be angry forever. Only acknowledge your guilt, that you rebelled against the LORD your God and scattered your favors among foreigners under every green tree, and that you have not obeyed my voice, declares the LORD. Return, O faithless children, declares the LORD; for I am your master; I will take you, one from a city and two from a family, and I will bring you to Zion. “Behold, you trust in deceptive words to no avail. Will you steal, murder, commit adultery, swear falsely, make offerings to Baal, and go after other gods that you have not known, and then come and stand before me in this house, which is called by my name, and say, ‘We are delivered!’—only to go on doing all these abominations? Has this house, which is called by my name, become a den of robbers in your eyes? Behold, I myself have seen it, declares the LORD. This is ministry to the church. In the beginning of the reign of Jehoiakim the son of Josiah, king of Judah, this word came from the LORD: “Thus says the LORD: Stand in the court of the LORD’s house, and speak to all the cities of Judah that come to worship in the house of the LORD all the words that I command you to speak to them; do not hold back a word. It may be they will listen, and every one turn from his evil way, that I may relent of the disaster that I intend to do to them because of their evil deeds. You shall say to them, ‘Thus says the LORD: If you will not listen to me, to walk in my law that I have set before you, and to listen to the words of my servants the prophets whom I send to you urgently, though you have not listened, then I will make this house like Shiloh, and I will make this city a curse for all the nations of the earth.’ ” The priests and the prophets and all the people heard Jeremiah speaking these words in the house of the LORD. And when Jeremiah had finished speaking all that the LORD had commanded him to speak to all the people, then the priests and the prophets and all the people laid hold of him, saying, “You shall die! We must teach ALL of God’s Word, especially the unpopular parts! We must do this just in case some might hear and repent. People will react very negatively to this – don’t let that surprise you. 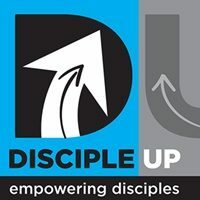 Prayer Pilgrimage info and vacation update! Today we are finishing up my synopsis of Watchman Nee’s book, Sit, Walk, Stand. Then I’ll talk a bit about some of his other books that I recommend and some I don’t, as well as a look at where we’re going in October! Avoid anything written by Witness Lee – disciple of Watchman Nee who went off the deep end and found the Local Church cult. Intro: Give-a-way done – Chuck and Lynne Clements are the winners – congratulations. Next week – Lord willing – a new kind of show. 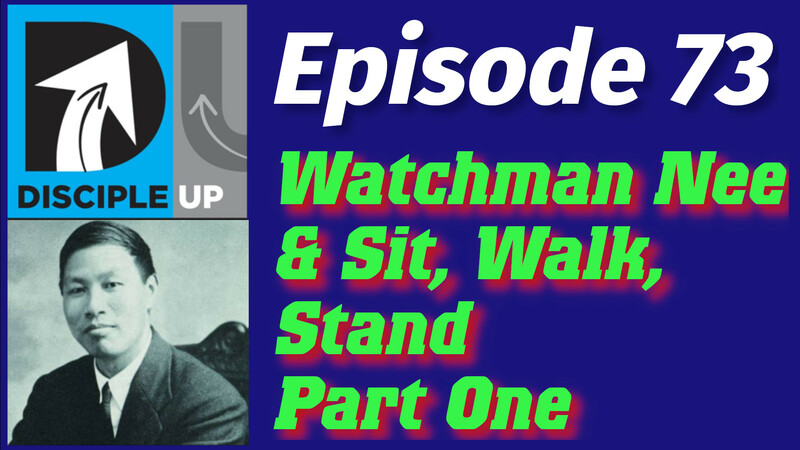 Watchman Nee – a brief history of his life and ministry and then we’ll be going through one of his books, Sit, Walk. Stand. I’ll also recommend a few other of his books and probably warn you off a few as well. 1) I need to LEARN what gentleness really is. Used of horses that had been tamed. There is no gentleness without HUMILITY. 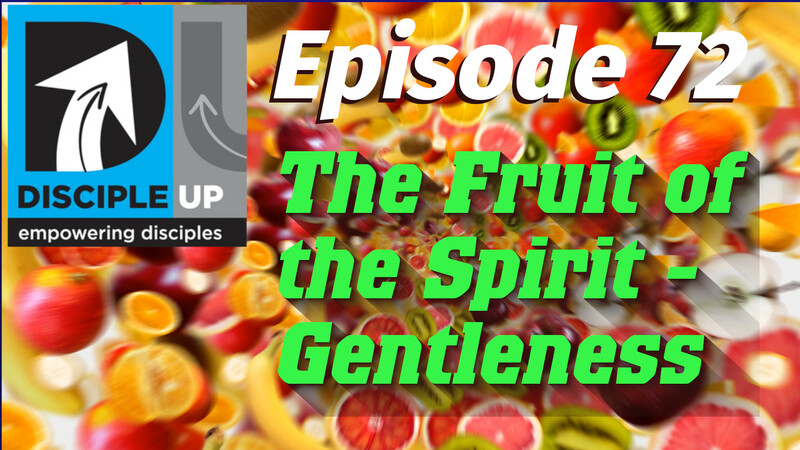 Gentleness flows out of a humble heart – so Paul got two words in one here – also you can’t have gentleness without self-control. 2) I can be gentle because of the AUTHORITY given me by Jesus. 3) I can be gentle because of Jesus example of being a SERVANT. 4) I can be gentle because of the GRACE of Jesus.